AB de Villiers says he has "absolutely no regrets" about his decision to end his career with South Africa. The former Proteas captain quit all forms of the international game in May, citing tiredness as he opted not to stick around for next year's Cricket World Cup in England. Just under three months on from his announcement, De Villiers still believes he made the right call, escaping the "unbearable" pressure of representing South Africa on the world stage. "Massively, yes, [it was a relief,]" he told the Independent. "I know the right answer is probably to say I will always miss the game. "But I truly believe that players who tell you they don't feel the pressure of international cricket, being away from home for months at a time, are lying to everyone and themselves. "It's been unbearable at times: the pressure you have to face, performing day in and day out. The expectations that you put on yourself, from fans, from the country, from coaches. "It is huge and it's something that's on your mind all the time as a cricketer. "And it’s definitely something that I'm not going to miss. I'm very happy to have stepped away. Absolutely no regrets." 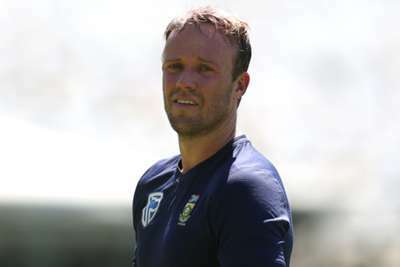 De Villiers played in 114 Tests and 228 one-dayers for his country, averaging 50.66 and 53.50 respectively in the two formats, while also appearing in 78 Twenty20 games. 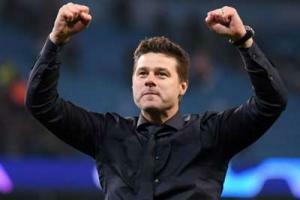 Tottenham manager Mauricio Pochettino can scarcely believe what his side have achieved during their run to the Champions League semi-finals.